From Maine to California and everywhere in between, the U.S. is full of hidden gem towns that would be ideal for a weekend getaway. 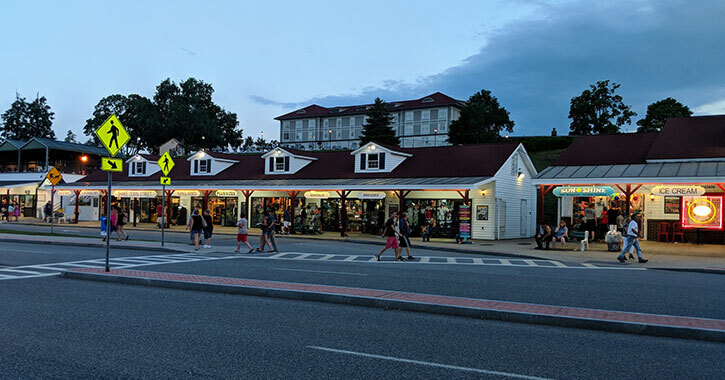 In an article by USA Today about perfect towns for a weekend trip in every state, Lake George was recognized as New York’s best town for a two- or three-day weekend vacation. Whether you’re looking to escape from everyday life for a while or have fun with the family, there’s nothing better than a weekend getaway to a small town. Located in the southeastern Adirondacks, Lake George, NY has it all – unique attractions, historic and cultural sites, shopping destinations, great places to eat, and more. According to USA Today’s travel article, Lake George is the “quintessential vacation area,” and it’s hard to deny that point. Throughout the year, there all kinds of activities to try, both on and off the Queen of American Lakes. 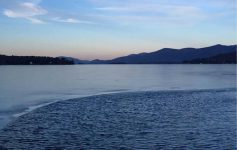 You can cruise on the crystal clear waters with the Lake George Steamboat Company during your summer stay, gear up for a hiking adventure in the nearby Adirondack Mountains, or stroll around the village area. Plus, while the town has everything you need for a fun-filled weekend getaway in one place, including resort hotels, restaurants, and shops, it’s also a great starting point to explore the surrounding region. 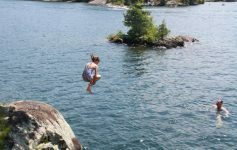 Some of the best things to do are a short drive away from Lake George, such as The Great Escape amusement park, the Natural Stone Bridge and Caves Park, and other local hotspots. Lake George is truly a one-of-a-kind destination and worthy of being named the best weekend getaway town in New York. What is your favorite part about visiting Lake George?